Wish you "felt like it" more often when it comes to getting motivated to train hard? Start with these six things. When we think about improving our mindset, typically our attention goes to mental training. We close our eyes and do bouts of imagery, picturing ourselves crushing our perfect race. We sit down with our goals and create a detailed battle-plan that will take us step-by-step to that greasy win at the end of the season. Or we sit down and write out a series of phrases that we are going to use in the pool to keep ourselves on point with our motivation and focus. And while our mindset can seem like a standalone thing, it’s influenced heavily by a number of different things you do have control over. Probably a lot more than you realize. 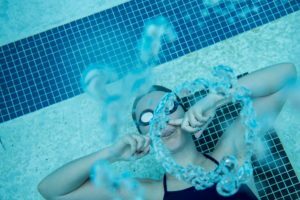 Here are just some of the things that will influence your mindset—and affect your swim practices—today in the pool. 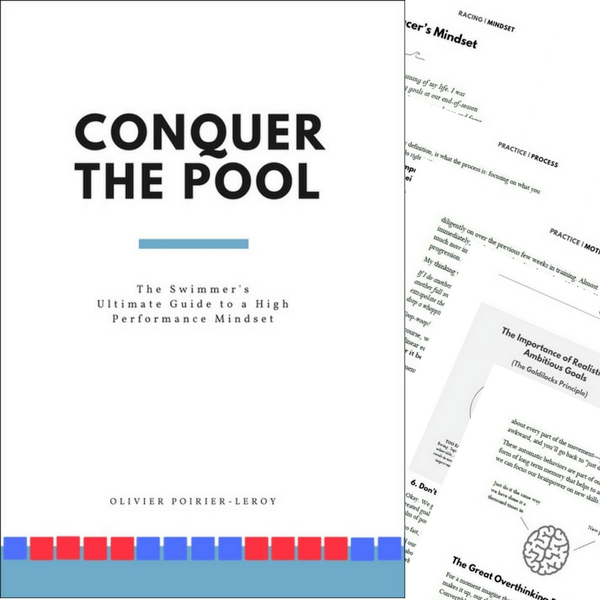 For swimmers who go on deck with a plan or a goal for practice, their mindset is determinedly better. 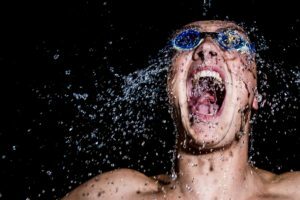 The swimmer who reacts is hoping for an easy or fun set, basing their reaction, effort and energy on how they feel about that days workout instead of what they’d like to accomplish. 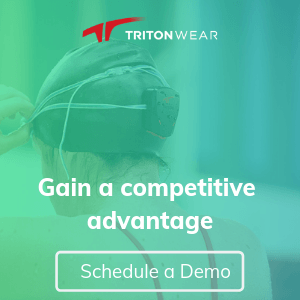 I know–you don’t write the swim workouts. You aren’t the one brainstorming up a creative new way to do that threshold set. That is the coach’s job. But what you can do, what you should do, is decide the things you are going to work on that day irrespective of what kind of gluten-covered blasphemy shows up on the whiteboard. Committing to deadly breakouts for the whole practice, for example. Or doing 5 dolphin kicks on every wall during the warm-up, warm-down and drill sets. Tightening up your streamline. And so on. You get the gist of it. How well you slept last night. 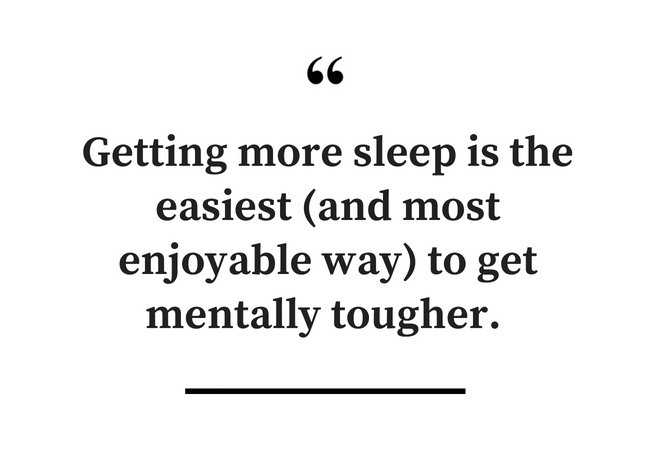 One of the simplest ways to become mentally tougher is to get more sleep. Straight-up. More time in the sheets means that you are fully rested, recovering better, and cognitive function is higher. While we can maintain peak physical power and even endurance after one, two, or even four bad nights of sleep (one study found that four nights of 4-hour sleeps had swimmers still managing to swim at their fastest), our mood and perceived effort crater after just one bad night of sleep . You already know this on an intuitive level: it’s harder to get up and give your best when you are sleep-deprived. It’s harder to summon the mental strength to chase your limits. Sure, you might get things going after a while in the water, but that initial resistance is real and totally unnecessary. If you are serious about developing a high-performance mindset there is no getting around giving your brain and body the rest it deserves. All the visualization, self-talk and psych-up techniques in the world can’t outrun consistently bad sleep. If you didn’t know that sleep deprivation caused you to be less mentally tough (along with being a certified cranky-pants), this mindset factor will blow your chlorinated hair back. Your coach has been telling you since day one to bring a water bottle to practice. It’s been drilled into you and your training since the very, very beginning. You know it’s important, and it’s why your Gatorade bottle is at your side from the time you wake up and squirt a mouthful of water, through practice, to the drive to school, in class, and so on. Besides your smartphone and keys, the water bottle is an essential part of your life. You’ve been told that being properly hydrated helps speed up recovery and improve overall performance. But being properly hydrated, whether you are at rest or while you are exercising, is crucial to your mindset too. In one study (1), a group of young women got all dehydrated (a total loss of 1.36% of body weight) and experienced a wide array of mental and emotional side effects: there was a loss of vigor, feelings of fatigue, decreased overall mood. Exercise felt harder and their ability to stay focused plummeted compared to their own performances when they were hydrated. These findings were similar to another study of men (2) that found even mild dehydration created decreased amounts of alertness, working memory and increased fatigue and tension/anxiety. In sum: chain that water bottle to your mouth-hole if necessary and hydrate your way to a stronger mindset and better workouts. Ever notice how one good practice tends to lead into another? When we have a good session, our confidence goes up, our self-belief increases, and we are better prepared to face future challenges. Beyond simply feeling good about ourselves, when we are “winning” we experience higher levels of testosterone. Winning literally changes our biology over time, making it more likely that we are going to win in the future. Unfortunately, the same thing happens if we are constantly losing or failing. We become adapted to expect failure. We lose our aggressiveness. We become less likely to take chances in training. No matter how today’s practice goes, make sure that you walk off the deck having won something. I’m not talking about hollow victories: Choose to win today. Choose something and do your best at it. The school assignments are piling up. Your to-do list is now two pages long (double sided). Oh, and there’s the physical and mental stress of spending two to five hours in the pool and weight room per day. Giddyup. The relationship we have with stress is a complicated one: mild stress, and dealing with it, helps inoculate us so that we can meet greater stress demands in the future. Those hard swim practices, for example, are a way of stress-proofing you for harder training and competition. But chronic stress, the unending and consistent kind, doesn’t help us. It messes with our decision making, builds anxiety and can turn us into a real sourpuss . The way it affects our mindset is particularly obvious: when was the last time you saw someone smiling when they said, “I am sooo stressed”? Managing stress is a valuable skill: the ability to compartmentalize the stress we are feeling (not bringing drama from your personal life into your workouts, for instance) and also rid ourselves of it has a powerful effect on the mental approach you bring to the pool. Stress can steadily pile up over time, usually apexing in an intense moment of “Ah, screw all of this!” if you don’t keep an eye on it. There are things you can do to better manage it from keeping a gratitude list to sleeping more. How well you are taking care of yourself between practices. One of the more peculiar types of athlete I’ve encountered over the years is the 90-minute athlete. This swimmer shows up on time. Helps set-up the pool. Is one of the first in the water. Doesn’t pull four times into the walls doing kick. Pushes themselves to the point of failure in the main set. Does the warm-down, and even hangs out doing some extra stretching after everyone else has gone home. But something weird happens the moment they walk out of the pool: it’s like a switch is flipped. Gone is the attention to detail. Gone is the focus on doing it better. 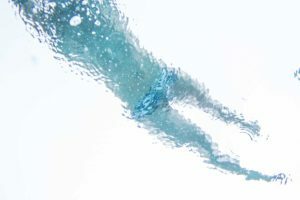 Whether it’s their diet, the lack of sleep, an inability to manage stress, our awesome practice swimmer lives the Jekyll and Hyde existence of a part-time elite swimmer, while the rest of their day is basically spent chipping away at the improvement they worked their tail off for earlier that day. Now, I’m not saying that you need to live the obsessed life of a 24-hour athlete. I am not recommending that every last thing you do in life should be in the lens of how it’s going to affect your swimming. There has to be balance. 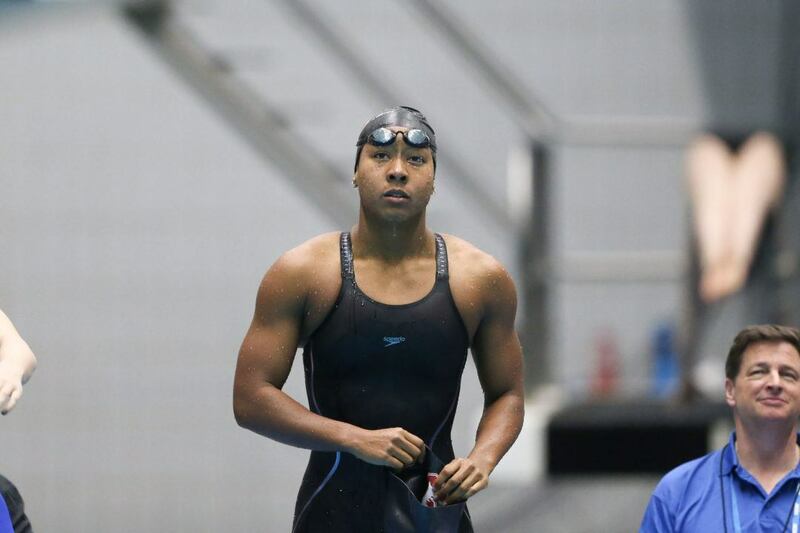 But you also need to be realistic about your expectations for your swimming when lined up against how you are spending your time between practices. Is it fair to expect epic results in the water when you treat your body like a five-alarm dumpster fire between workouts? There is more than just “wanting it” when it comes to crushing killer practices on the regular. 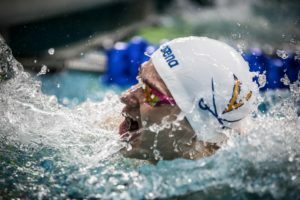 It’s not always the swimmer who is necessarily most motivated, but the swimmer who makes it easier on themselves by creating a situation for themselves where a positive and tough mindset is more likely to flourish. Go into the pool with a plan. What do you want to focus on today in the water? Stay hydrated. This is an easy one—attach your water bottle to your hip and use it. Sleep lots. Sleep is the best performance aid out there. Nothing else holds a candle to it for both mental and physical recovery and performance. Flush the bad workouts. Stinkers happen—make your goal bouncing back as quickly as possible. Learn, and move on. Stay on top of stress. Employ things like a gratitude list to help keep stress at a low simmer. Care for yourself between practices. Don’t expect elite results if you treat your body like garbage between practices.